We really cracked on through this site clearance job today with two 70hp machines on site. The Carlton SP7015TRX really is an incredible machine which in my opinion leaves the competition behind. 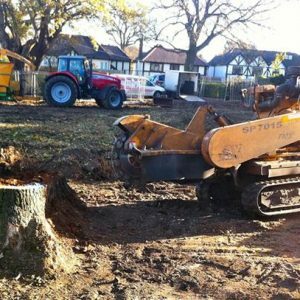 We can deal with any number and any size of stumps on any site. All H&S and insurance requirements can be met.